1. * Teaches kids how to build and solve puzzles. Winner of Parents’ Choice Honor Toy, cited by child development experts. MightyMind is one of the top five essential toys. 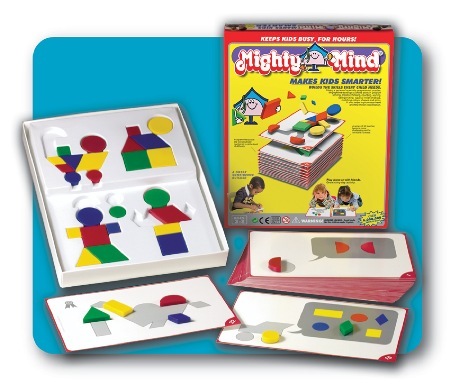 At first glance, most people think that MightyMind is just a box of shapes and puzzle cards, but don't be fooled! It's an intricate linear program comprised of 30 steps (puzzles) arranged in a numerical sequence that's disguised as a play activity. 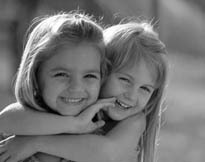 Kids get glued to it, because it generates a feeling of success and it builds a child's confidence and self-esteem. It originated way back in 1978 based on B.F. Skinner's (the Harvard behaviorist) development of linear programming. Disguised as a toy activity, MightyMind develops the essential critical analytical thinking skills that every child must have for future success. No reading or language is required. Includes 32 colorful proportional design shapes, neatly contained in a sturdy storage tray with a series of 30 numbered programmed puzzles. Available in 26 countries worldwide.